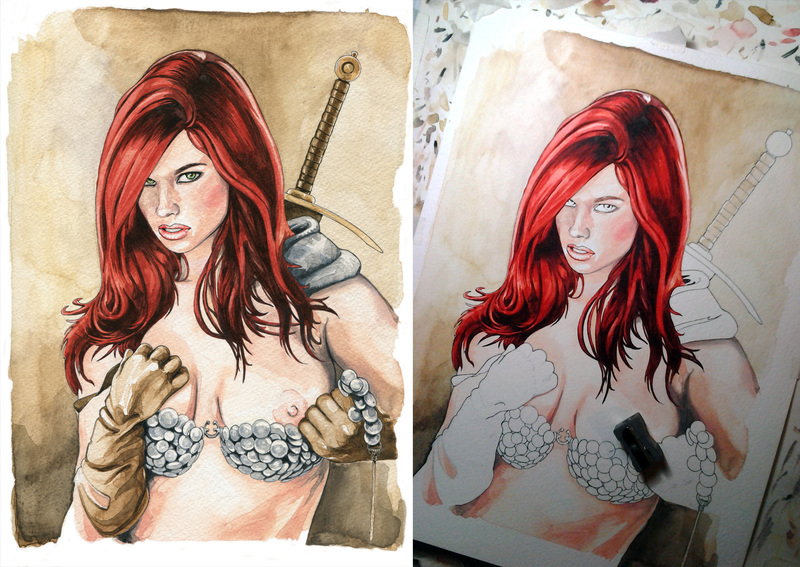 Red Sonja Uncovered. Watercolor on A4 paper, used as the cover of FuctArt Magazine issue 16. Click link on the right to see full image.